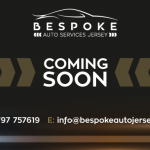 Bespoke Auto Services Jersey Limited provide a wide variety of bespoke, tailored vehicle services on the beautiful Island of Jersey. 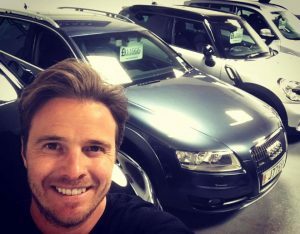 Passionate about used car sales, vehicle sourcing and car storage, Bespoke offer a professional, yet enjoyable family like service. By being a small locally owned business, we strive to offer a personalised experience in the services that are offered. Director and Business Owner Russell Osmand. Bespoke have a small yet desirable collection of cars for sale at our indoor showroom located on Beau Pre Farm retail park in St. Ouen. Sourcing cars for clients here in Jersey is also a service that we can offer. With proven experience and over 400 imports to Jersey, Bespoke know exactly what is involved in this process and are extremely passionate in delivering a professional and enjoyable experience. Bespoke’s ultimate aim is to build and establish relationships with our customers based on trust and delivering the final product as promised. Repeat business is something Bespoke can be very proud of and value with the utmost importance. Why make sacrifices on specific personal particulars and necessities when looking for your dream car? Many vehicle purchasers locally here in Jersey have approached us and expressed frustration with the lack of choice on the Island. 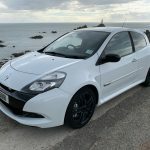 Bespoke have then worked to source the specific car and import the car to Jersey. We take care of everything, from sourcing the car from one of our many extensive, proven and trusted suppliers to putting the car on the road with all the laborious paperwork, legal requirements and administration taken care of. Bespoke are also experienced in offering fleet imports for commercial businesses Island wide. We accept part-exchanges on our UK imports, so if you are looking to replace your current car or fleet, we offer a part-exchange facility to make the cost to change more obtainable. We do in fact welcome part-exchanges on all our cars and can help with financing your new vehicle, ensuring responsible lending and sound vehicle financing advice. Our cars come tailored to the customer, with warranties, servicing, multi-point safety checks and full sales valets offered upon sale. Thinking of selling your car? Bespoke buy cars for cash or sell them on your behalf on a sale or return basis. Selling a car privately can be tricky, at Bespoke we take away the stress and inconvenience and put as much effort into selling your car as we do our own inventory of cars. Gone are the days of laborious haggling and bad attitude salesmen. You’ll be treated with family like care and given sound motoring advice. Bespoke Auto Services Jersey have long and short term storage solution facilities for vehicles, classic cars, bikes and boats. Car detailing services are also offered to our customers and can be incorporated with our storage solutions. Please browse our site to find out more about the services we provide in detail or pop in and see what we are all about.